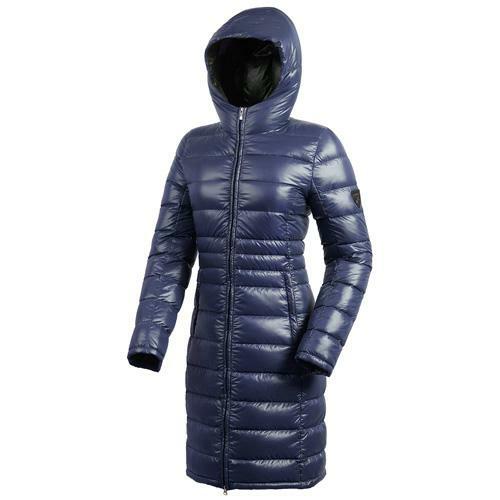 description: Coat with hood made of great quality (800 cuin) 95% pure white goose feather quilt. Long and elegant thanks to the peculiar cut which makes the most of the silhouette. This item of clothing enhances the lightness and pleasant sensation of natural feather. Its hood makes the coat more casual, perfect both for special occasions and daily life. Central zipper + 2 pockets located at the waist + internal pocket. It can be easily placed in a bag (supplied) to occupy the minimal amount of space. Total weight 310 grams (size S).